Mamelodi Sundowns' José Alí Meza. 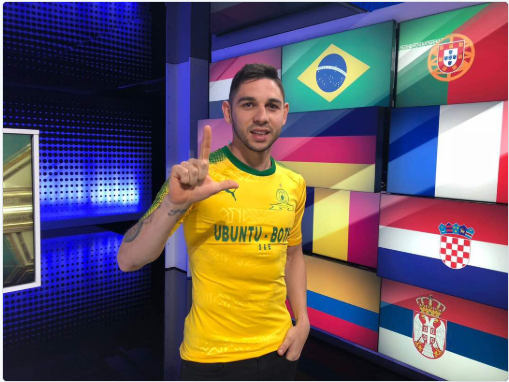 Mamelodi Sundowns have confirmed the signing of Venezuelan striker José Alí Meza. Meza was linked with a move to the Absa Premiership Champions from Oriente Petrolero in Bolivia. Sundowns approached the club with an offer for the player last month as they looked to strengthen their striking department with the imminent departure of Percy Tau and Khama Billiat’s contract expiring at the end of the season. Petrolero’s chairman José Ernesto Álvarez confirmed the club had sold the striker to a South African club. Meza is the second player from the Bolivian league to join Sundowns after the Brazilians signed Gaston Sirino last season from Club Bolívar.